Will you help these rejected dogs find a home in time for Christmas? It’s National Puppy Day – and while we love the furry, friendly young pooches, that doesn’t mean the older ones don’t deserve the same level of attention. 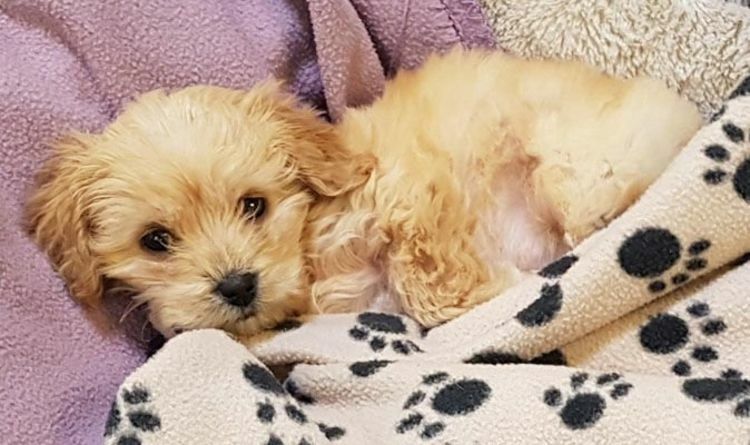 There are currently 42 dogs sat in Battersea Dogs and Cats Home waiting for someone to take them home (and that’s not counting the newbies who are still being trained). By all means, get a puppy if you want one (do so responsibly) but remember that there are already so many dogs out there who need a human to love them. And age is just a number. We’ve chosen nine of our favourites, each with his or her own unique characteristics. Athena might look a little cranky, but don’t let that put you off. The friendly Dogue de Bordeaux is still getting her confidence back, but would be a great fit for a family with older kids. But you’ll need to dedicate time to spend with her, as Athena can get stressed if she’s left on her own for too long. As you can see, Arnold is a master of the puppy dog eyes. He loves people, but gets a little over-excited sometimes and albeit friendly, isn’t a fan of living with teenagers or cats. For a dog who loves to tear apart stuffed animals, make a durable activity ball with a Hol-ee rubber ball, scraps of fabric, and treats. The Shar Pei will need confident and experienced owners, but put in the time and he’ll give you the love. Feather is a cute little fur ball, but she’s a nervous pup. The Shih Tzu needs a confident doggy pal to live with, in order for her to develop her confidence. Feather has a long way to go, but just imagine what it would be like to curl up on the sofa with her after a long day. He might not be that old just yet, but Zack prefers the company of adults. Zack isn’t all that keen on living with other dogs either, but might be up for becoming roommates with a cat. Read also: (Picture: Jack Taylor/Getty Images)At just one year and six months old, Rosie is still a puppy at heart. (Picture: Jack Taylor/Getty Images)Bear loves going on runs, so if you’re an active type he’s the dog for you. A mongrel breed, he’s has had a rough start in life, and just needs some encouragement and training from patient humans. Once he’s gotten to know someone, it’s all about the cuddles and kisses. Energetic, happy and still a puppy at heart. If you want to win this Staffordshire Bull Terrier over, tennis balls are the way to go. But it’s best to keep Rupert on a lead when there are other dogs around, as he can be a little too much for other pups to handle at times. Flo likes company, so could be a great fit for someone who works from home or is able to bring her with them to work. Celebrate Your Pet at Every Age. Everyone loves a new puppy or kitten, says Dr. Becker. “They’re wildly kinetic, and humorous. An older pet is thinner, bonier. Their coats aren’t as soft, they might have bad breath.” But, like people, a pet’s needs change with age. They may be less active, preferring a leisurely stroll to a rollicking tug-of-war. “Our old retriever, who’s blind, still wants to retrieve.” Adapting to their changing needs will ensure your old friend remains a healthy and happy member of your family. She’s a very intelligent mongrel who likes learning new tricks and eating. But Flo is an attention-seeker, so prefers to live alone and really doesn’t like cats as housemates. Bella is a little fussy. She is a gorgeous dog, but has some mouthing problems and doesn’t like traffic, and definitely needs owners that are calm, patient and experienced in training dogs. Sometimes, you have to put in a little extra work to make it work – but that doesn’t mean she’s not an amazing pooch (she clearly is). 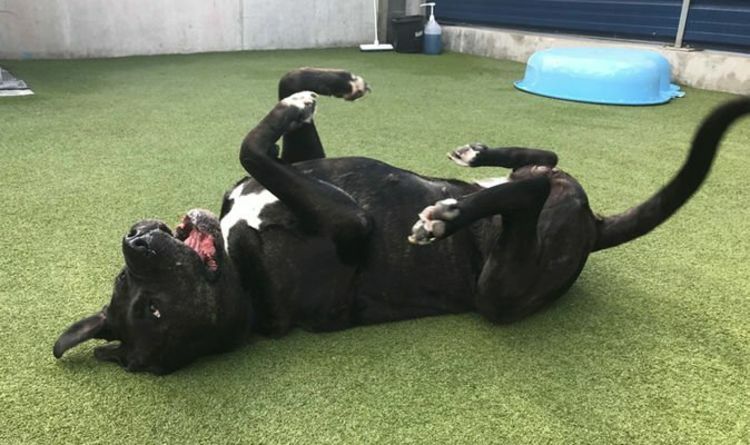 Read also: Now he’s looking for a home (Picture: RSPCA/SWNS.COM)‘Rocky hasn’t had it easy and has lived outside most of his life,’ Millbrook deputy manager, Liz Wood, said. Rocky with Liz (Picture: RSPCA/SWNS.COM)‘While some people may find his size a bit intimidating, he’s just a gentle giant. Why adopt one dog, when you can get two? Kira and Shiloh are a team; she’s more outgoing and can be a little pushy with other dogs, while Shiloh is quite chilled and prefers to have a sniff around the bushes. As they are Siberian Huskies, the pair require an owner who knows the breed well and preferably lives in an area with a garden where they can run and play. You can view all dogs and cats up for adoption on the Battersea Cats and Dogs Home site. There are plenty more who need a new home and human.